I love the idea of a healthy version of barbecue sauce! There are just too many additives in the ones on the shelves and certainly lots of high fructose corn syrup that you can do without. This definitely has a tasty zing to it. Not too spicy and not too sweet. 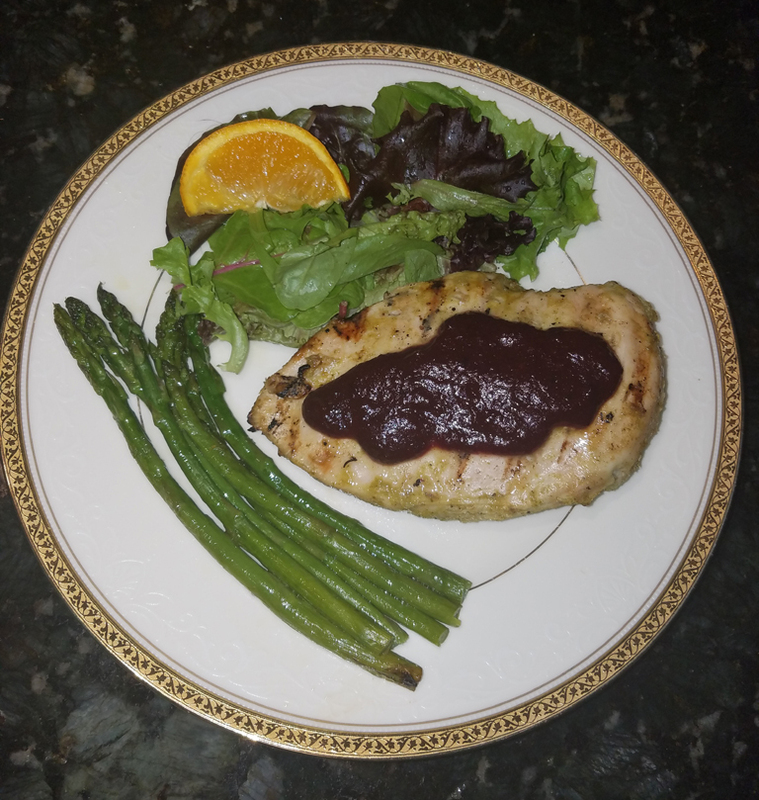 Enjoy this new take on BBQ sauce for your next grilled chicken dish! Heat the coconut oil in a saucepan on medium heat. Once it has melted and the pan is hot, add the onion and cook for 5 minutes. Add the garlic and cook for another couple of minutes, stirring until fragrant. Add the cherries, maple syrup, balsamic vinegar, and smoked sea salt. Cook uncovered over low heat for approximately 30 minutes, or until the mixture has thickened. Transfer to a blender and blend on high until smooth.